This smoothie tastes too good to be healthy! 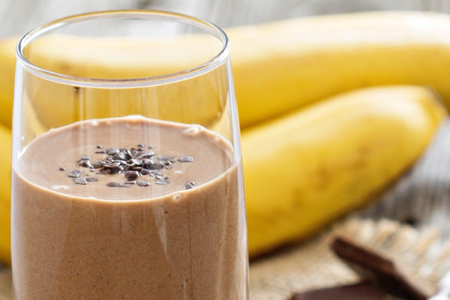 While this smoothie tastes great, it also is a nutritional powerhouse with healthy fats and protein coming from the almond butter, flax seed and milk. Bananas are great source of vitamin B6, vitamin C, potassium and manganese and helps metabolize fats and carbs. Flax seeds are an amazing source of mood and brain boosting fatty acids and add a nutty flavor to any smoothie. Coconut oil is a metabolism booster and boosts energy, perfect for those sluggish mornings. And who couldn’t use a few chocolate chips in…anything? 🙂 Enjoy!